Whether it's securing box flaps, packages or can liners, this assortment of large bands can handle all big jobs around the office. 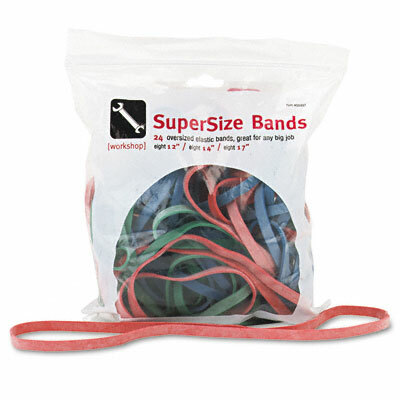 Color-coded bands make it easy to find the right size. Packs come with eight of each color. 17 x 1/4 bands are blue, 14 x 1/4 bands are green and 12 x 1/4 bands are red.